It only takes one great teacher to make a life-changing difference for a child. Be the one. The Curry School prepares teachers to make a difference in their students' lives from the first day they set foot in the classroom. If you already have your bachelor's degree, you can earn your teaching license with our one-year Post-Graduate Master of Teaching (PGMT) degree. We also offer an accelerated Bachelor's and Master of Teaching (BMT) degree, where you can earn both your bachelor's and master's degrees in just four years. We can also help you with recertification, add-on certificates, or earning your Virginia teaching license through a number of alternative routes. No matter which path you choose, you can count on top faculty, practical experience and a supportive community to cheer you on every step of the way. If you're ready to start making a difference in the classroom, we can get you there. 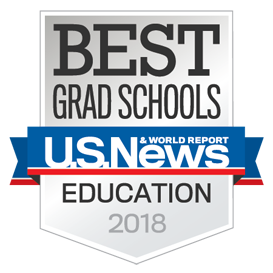 Whether you already have your bachelor's degree, or you're looking to earn both a bachelor's and a master's, a full-time Master of Teaching degree program from the Curry School will do more than fulfill all the requirements for licensure -- it will prepare you to lead a classroom with confidence. Do you want to earn a license to teach in a Virginia public school (preK-12), but a full-time teacher education program isn’t right for you? the Curry School offers individualized advising and flexible online coursework designed to help you meet the requirements you need for the alternative route to licensure available in Virginia. Add a Certificate or Endorsement to your teaching license, or choose from a myriad of online and in-person open-enrollment courses to expand your skill set and keep your teaching license current. Take courses for recertification and/or professional development, choosing from a myriad of online and in-person open-enrollment courses to expand your skill set and keep your teaching license current.